Should you have a personal brand or a digital brand? Which one is best for your business? 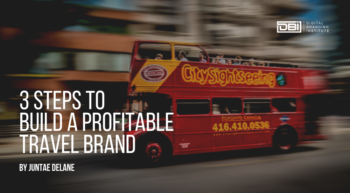 Whether you are a consultant, freelancer, or you want to drive more traffic and trust to your company, it’s very important to establish your brand to stay competitive. In this article, I’ll put digital branding and personal branding in a head-to-head matchup to help you determine which is best for you. Now, let’s take a deeper dive. Digital Branding is the identity, visibility, and credibility of any individual or organization. The three tenets of digital branding work well for individuals and organizations. Organizations can benefit from digital branding as they become more transparent and personal when communicating with consumers. Based on this report by Cohn & Wolfe, consumers prefer to do business with a brand that is honest about its products or services, even if that brand is an individual or large organization. Personal Branding is the identity, expertise, and personality for an individual professional rather than an enterprise organization. It’s people marketing themselves and their careers as brands. Example: If a recent graduate is looking to make herself more marketable, she may consider establishing a better personal brand and focus on her identity, expertise, and personality. Digital branding focuses on an offering that is attached to a brand. Typically this can be an individual who is branding herself as someone known for a specific offering. Digital branding is important in this case as potential clients will search for her offering before her name. Example: If that same person graduated from law school and is looking to create a private practice, she would definitely establish a digital brand to build her business. She, along with any organization would focus on identity, visibility, and credibility. DBI TIP: A digital brand is not as flexible as a personal brand. All digital branding efforts should be linked to a product or service. Digital Branding vs Personal Branding? Let’s put these two together for a head-to-head matchup focusing on various components that impact both your digital and personal brand. Digital branding is built around a digital identity you create that drives a direct business objective. Personal branding is built around you personally. Digital brands aren’t as flexible if your interests change. If you decide to change course and offer something completely different, you may need to start a second business if it doesn’t relate to your business name. Personal brands work well with one-person industries. With digital branding, you create content, engage on social media, and optimize your visibility to spread the word about your brand and convert your target audience. 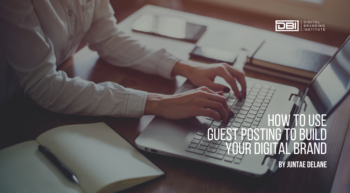 With personal branding, you write guest posts, appear in interviews, speak to establish thought-leadership and increase influence in your niche. 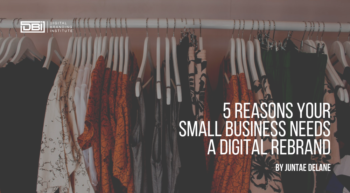 With digital branding, building buzz and establishing yourself as a leader in your field is important because potential clients are searching for products or services, not your name. With personal branding, building buzz and establishing yourself as an expert in your field is important when potential employers, partners, or clients are searching for your name. With digital branding, conversion is the primary goal. You want to create more sales or convert more of your target audience. Naturally, you’re going to prioritize customers, clients, and leads. The problem with personal branding is most people undersell themselves. When building your personal brand, you naturally prioritize targeting hiring managers, conference organizers, and businesses. Conversion is usually not considered. When grappling with the digital branding vs personal branding dilemma, both are very different as the former is mostly focused on establishing an identity and the latter is focused on conversions specifically in the digital space. The biggest difference is that an individual can establish both a personal brand and digital brand. While an organization can build a digital brand in hopes that their employees and management have personal brands that will enhance the organization’s digital brand.